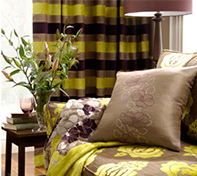 Here you will find updates on all things in the window furnishing industry. Anything from new types of curtains or blinds, new fabrics and accessories, new tracks or simply photos from one of our latest jobs. Chais Lund Curtains & Blinds will endeavour to keep you updated with all things happening in, around and relating to our business. Share the post "Our blog"